Communicating critical election information to more than five million registered voters in Los Angeles County in 13 languages is a challenging, but rewarding, task filled with valuable public relations lessons. Brenda Duran, who heads the communication office for the country’s largest voting jurisdiction, will share lessons and best practices she has learned from the front lines during a time when the state of our electoral process and questions about voter confidence continue to take the spotlight. Brenda will speak about the creative and innovative communication strategies and tactics she used during the recent presidential and mid-term elections and share how she has been able to execute large-scale public education campaigns to engage a large, diverse population. She also will discuss what has worked and what hasn’t when dealing with public scrutiny and the media in times of crisis. Brenda Duran is responsible for developing the brand and overall public outreach and communications strategy for the Los Angeles County Registrar-Recorder-County Clerk, the government department responsible for registering voters, maintaining voter files, administering federal, state, local and special elections for more than 500 political districts and 5.2 million registered voters. It is the largest and most complex county election jurisdiction in the country. Last year, Brenda oversaw a $1.5 million marketing budget and led her communications team to develop and implement a strategic public relations program that included public outreach, social media and a strong online presence to disperse critical election information to 10 million residents. In her role, Brenda has created award-winning mass scale marketing programs, managed internal communications and revamped the department's social media platforms through goals, positioning and channel prioritization. These campaigns include editorial and TV spots, digital social media marketing, outdoor billboards and talent endorsed public service announcements. Brenda has been overseeing the charge for the branding of the department's new voting system set to debut in 2020. As spokesperson and public outreach and organizational change management lead for the LA County Registrar-Recorder/County Clerk, she has also developed strong media relations and has been responsible for implementing the department’s internal communications strategy initiatives. - Brenda has written for countless publications including The El Paso Times, The Denver Post, PEOPLE, The North County Times and The Long Beach Press Telegram. - Brenda served as editor-in-chief of Long Beach Magazine, a regional glossy magazine in the city of Long Beach, CA. 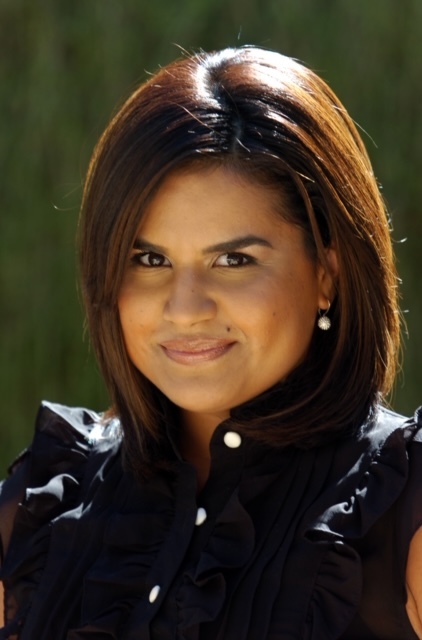 - Brenda has been a featured speaker at the California Association for Public Information Officers annual conference and the USC Annenberg School for Journalism and Communication. - Brenda is also an award-winning writer. She has been the recipient of many prestigious journalism awards such as the FOLIO excellence in editorial award, CCNMA Pluma Award, three Society of Professional Journalists awards for feature writing. - In 2017, Brenda received the PRSA PRism award for Integrated Communications in Government and an award of excellence from the PRSA Orange County chapter for Public Affairs Programs. Brenda is a graduate of the University of Southern California Annenberg School for Journalism and Communication. She is also a graduate of the County of Los Angeles Executive Leadership Development Program at the University of Southern California. Chicken parmesan on spaghetti and chef’s choice of vegetable, warm rolls with apple pie for dessert. A choice of salad, with or without meat, is also available. Make your selection when registering, and be sure to pick up your salad ticket upon checking in for the luncheon if you choose that option.